Joyce passed away Thursday, July 28, 2016 at Alamo Nursing Home. She was born March 13, 1924 in Muskegon to Walter and Anne (Boukamp) Ritter. For many years she had worked at Erways Home Bakery in Kalamazoo. In her spare time she liked playing the accordion and violin. Joyce loved life and helping others. She enjoyed crocheting and had volunteered to make booties and hats for premie babies and lap blankets for veterans until she was 91 years old. Joyce was an avid bingo player, life member of the Disabled American Veterans and was very active at the Alamo Nursing Home especially with Tea and Tunes. Surviving are her children Darlene (Mike) Holesek, Mike O’Dell, Kathy Stephens and David (Rhonda) O’Dell; 13 grandchildren, several great and great-great-grandchildren and her siblings, Gloria Price, Walter Ritter and Jerry Ritter. She was preceded in death by her parents, husband, Russ O’Dell, infant sons, Albert and Alfred; adult son, Ron O’Dell and siblings, Bob, Donald and Chuck Ritter. Contributions in memory of Joyce may be made to the Alamo Nursing Home. Garland Black age 95 passed away quickly Wednesday, July 27, 2016. Now he joins his wife of 57 years, Cora who preceded him in death in 2001. 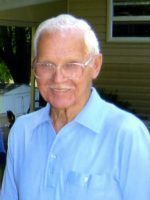 Surviving are his best friend of 14 years, Virginia Winn; children, Don (Clair) Black and Jerry Black; 5 grandchildren, Jody (Denise), Jeff, Chris (Kami), Derek and Dawn; 12 great-grandchildren and his youngest sibling, Vera Kershaw. 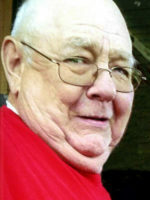 He was born March 12, 1921 and was the 6th of 7 children of John and Bertha (Ketchum) Black of Kalamazoo. For many years he farmed and retired at 62 from General Tool. He loved nature and stones and had carried a lucky one in his pocket and nervously polished it frequently. Gar was a cowboy at heart and loved Arizona where he visited and spent his winters for many years. A proud survivor of the Great Depression, he always lived below his means, “ate right”, walked for exercise and talked to anyone during his miles of daily journeys. Gar left 3 great legacies; live below means, devoted work ethics and convicted principles. Contributions in memory of Gar may be made to Wings of Hope Hospice of Allegan. 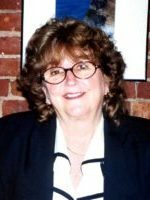 Starr passed away Tuesday, July 26, 2016 at Heartland Health Care in Kalamazoo. She was born November 26, 1934 in Hopkins the daughter of Raymond and Rita (Taylor) Crisman. Surviving are her sons, Cole Lovett of Bloomindale, Brad Lovett of TX, Lane (Mary) Lovett of Kalamazoo and Kal (Ronda) Lovett of Otsego; 14 grandchildren; 8 great-grandchildren and 1 great-great-grandchild. She was preceded in death by her parents; husband, Walter; granddaughter, Dana Lovett and sisters, Joyce (Bart) Service and Delores “Blackie” (Clark) Standish. Friends may visit with Starr’s family from 2-4 PM on Saturday, July 30, 2016 at the Winkel Funeral Home, Otsego. Contributions in memory of Starr may be made to the Alzheimer’s Association, 350 E. Michigan Ave #20, Kalamazoo, MI 49007. 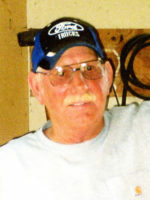 James Lyle Fuller of Otsego passed away Wednesday, July 20, 2016 at Bronson Hospital. He was born March 8, 1949 in Allegan the son of George and Dorene (Collick) Fuller. Jim served his country in the U.S. Army during Vietnam. As a young man he had worked for the Otsego DPW and learned to operate heavy equipment which he continued to do after his employment there. In his spare time Jim enjoyed hunting, fishing and camping. He was a member of the Otsego VFW Post #3030. On August 31, 1968 at the Otsego Church of God he married Pamela Boze who survives. Also surviving are his children, James II (Joni) Fuller of Delton and Sarah (Houston) Morrow of Galesburg; 6 grandchildren, Aeryk (Whitney), Stacie, James III, Shelby, Mia and Miles; 2 great-grandchildren, Jaxson and Raelin; siblings, Linda (Carl) Sparks and George Fuller Jr. along with many nieces and nephews. He was preceded in death by his parents and siblings, Phyllis Phelps, Sue Cardiff and Norma Todd. Friends may visit with Jim’s family starting at 10:00 AM on Saturday, July 23, 2016 at the Winkel Funeral Home, Otsego until the time of the Funeral Service at 12:00 PM with Pastor Merlyn Jones officiating. Private family burial of ashes will take place at Mountain Home Cemetery at a later time. Contributions in memory of Jim may be made to the American Cancer Society. 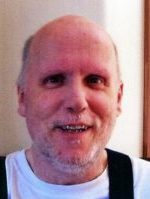 Roger W. Augustine of Plainwell (formerly of Fife Lake) passed away July 19, 2016 in Plainwell. Roger was born June 7, 1965 in Adrian the son of Donald and Betty (Bent) Augustine. Roger enjoyed following NASCAR, football and baseball. He had lived in Fife Lake and had recently moved back to the Plainwell area. Surviving are his sister Rhonda Augustine of Traverse City; aunts Ruth Barber and Betty Barber; many cousins including special cousins, Deborah Barber and Linda Sherwood; special friends Chuck Sayers and Kurt Kole. Cremation has taken place and no services are scheduled at this time. Contributions in memory of Roger may be made to a charity of choice. Mrs. Ruth Mary Watkins Pew, formerly of Bloomfield Hills, died Thursday, July 14, 2016 in Kalamazoo, Kalamazoo County, Michigan. She was married for 19 years to Frederick Norman Pew, who died in Meentinny, Cork County, Ireland on May 8, 1995. Ruth Mary, born January 7, 1921 in Detroit, Michigan, was the youngest daughter of the late Ralph Edmund Watkins and Grace Alice (Woodhouse), both of Detroit, Michigan.She was a direct descendant of Major General Benjamin Thaxter Lincoln, a patriot in the Revolutionary War. Ruth Mary spent her school years at the Convent of the Sacred Heart on Lawrence Avenue. During her teenage years she was a member of the TKE sorority and led a very active social life. She attended Michigan State College from 1939 to 1940 and was the freshman homecoming queen at Michigan State College in 1939. Mrs. Pew was a real estate agent in Bloomfield Hills while raising her daughters. One of the highlights of Mrs. Pew’s life was holding court at Chalmers Lake, on her floating chair wearing her flippers and blue flowered swim cap with a Coke in the beverage holder. Her daughters and their friends would spend long summer days swimming and hanging out on the raft while Mrs. Pew would share stories and fun times with them while trying to catch the elusive small mouth bass. Mrs. Pew was a lifelong resident of the Detroit area and lived on Chalmers Lake for 52 years until December 2003 when she moved to western Michigan to be under the care of her youngest daughter, Ruth Watkins Jaynes. She is survived by her daughters, Mary Watkins Pew, of Beverly Hills, Michigan and Ruth Watkins Jaynes, of Plainwell, Michigan. Interment will take place on Friday, July 22, 2016 at 11 a.m. at Woodlawn Cemetery, 19975 Woodward Avenue, Detroit, Michigan. Memorial contributions may be made to: Acadamy of the Sacred Heart, 1250 Kensington Road, Bloomfield Hills, Michigan 48304-3029.Messages of condolence may be posted at www.WinkelFuneralHome.com. 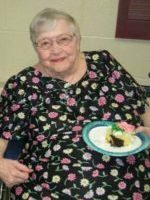 Dorothy J. Gregory of Plainwell passed away Monday, July 18, 2016 in Kalamazoo. Dorothy was born October 5, 1928 in Kalamazoo. She graduated from Plainwell High School in 1946 and had worked at DeHavens in Plainwell and various other shops in Plainwell and Otsego. She loved to read and she loved her grandchildren and great-grandchildren. For many years she enjoyed spending the winters in Florida. Dorothy adored her husband Glenn whom she married on January 29, 1955 in Plainwell and who passed away in 2005. 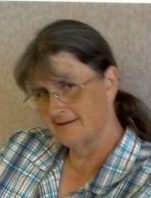 She is survived by two daughters, Sheila (David) Howard of Plainwell and Kim Gregory of Kalamazoo; her grandchildren, Brad Howard of Plainwell and Tami (Peter) Koppers of Otsego; great-grandchildren, Meghan, Emma and Molly; sisters-in-law, Beverly Colegrove and Wilma Gregory. She was preceded in death by her parents, sister Doris Dolsen and many other siblings and family members. Friends may meet with the family Sunday, July 24, 2016 from 3:00 to 6:00 P.M., at the Winkel Funeral Home, Otsego. Funeral services will be held Monday, July 25, 2016 at 11:00 A.M. at the Alamo Community Church, Pastor Don Boss officiating. In lieu of flowers, the family requests that memorial contributions be made to Kairos Dwelling, 2945 Gull Rd., Kalamazoo, MI 49048 or to Christian Neighbors, 292 – 12th St., Plainwell, MI 49080. 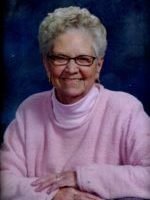 Anne R. Haskins of Plainwell passed away Thursday, July 14, 2016 at her home. Anne was born February 5, 1953 in Kalamazoo, the daughter of Keith and Margaret (Cross) Bullock. She owned and operated her own currier service from which she has retired. Anne enjoyed collecting bears, matches and crackle glass. She is survived by 2 sons, Delaneo (Regge) Haskins and Robert Haskins; 5 grandchildren; a daughter-in-law, Rhonda; her sister, Lynne Livingston; a sister-in-law, Sally Bullock and many nieces and nephews. She was preceded in death by her parents and her brother, Paul Bullock. Friends desiring may make memorial contributions to Christian Neighbors. Joey passed away Sunday, July 10, 2016 surrounded by his loving family at Rose Arbor Hospice. He was born April 18, 1963 in Kalamazoo the son of Joseph and Sharon (Bailey) Schmitt. 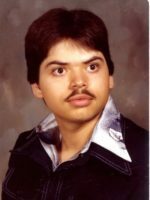 Joey was a 1981 Otsego High School graduate and for a short time had worked at Durametallic in Kalamazoo. On October 23, 1992 in Kalamazoo he married Lori Kataki and was her caregiver for 17 years until her passing in 2011. Joey enjoyed writing poems, communicating through social media and the internet, reading Stephen King novels, listening to music and attending concerts. He had many friends and always had a positive attitude and smile on his face. Surviving are his parents; sisters, Beth Ann Schmitt and Laurie Schmitt; nephew, Asa (Jessica) Lakeman of Belmont and their 4 children; special friend, Connie Blanchard along with many aunts, uncles and cousins. He was preceded in death by his wife and grandparents, Stanley and Bethel Schmitt. Private family burial of ashes will take place at Mountain Home Cemetery, Otsego. A memorial gathering will be held Saturday, July 23, 2016 at 11:00 AM at the Otsego VFW Post #3030. Contributions in memory of Joey may be made to Hospice Care of Southwest Michigan.